Communion chalice no.5 (2 L) - Istok Church Supplies Corp. 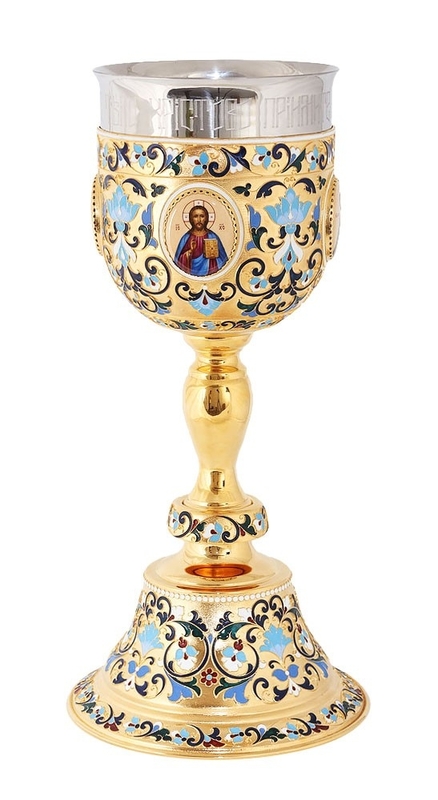 Excellent traditional Orthodox jewelry chalice. Brass, finift', hand-painting, enamel, filigree, stones, copper, silver-gilding, gold-gilding, stainless steel. Comes in a presentable case. Size: 0.8''x1.6'' (20x41 mm).